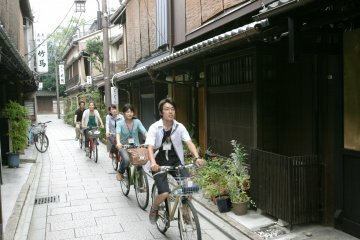 What’s the cheapest and quickest way to get to Kyoto and surrounding areas in Western Japan? The most comfortable option is Japan Rail (JR)'s limited express “Haruka”, which is a dedicated service from Kansai Airport station to Kyoto and sometimes beyond to Shiga. 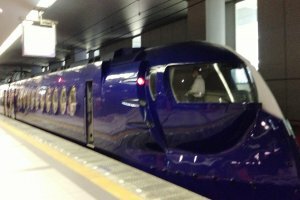 This is the fastest way to get to Kyoto, in just under 77 minutes for a 100 km trip! Kansai Airport station is just on the other side of the walkway from the Airport Terminal. There are two railway companies operating, JR and Nankai. Nankai is best for Tengachaya, with connections to the Hankyu line to downtown Kyoto and Gion. JR is best for southern Kyoto and for bullet train connections. 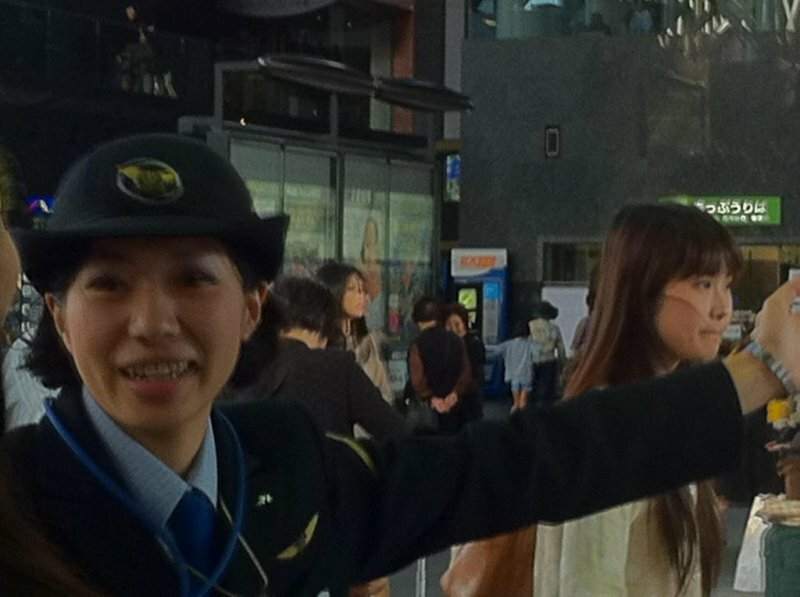 During peak hour, JR's Haruka operates every 30 minutes stopping at Tennoji, Osaka, and Shin Osaka before arriving at Kyoto. Some trains also stop in Hineno/ Nishikujo (Change at Nishikujo for Universal Studios Japan trains). Trains depart at 16 and 46 minutes past the hour from 6 am to 9 am, and also 4 pm to 8 pm. Outside peak hours, the Haruka only operate hourly. The first train from the Airport is 6:30am and the last train is at 10:16pm, so if you miss it, then the airport hotel is straight after the train station, or get the slower normal express. 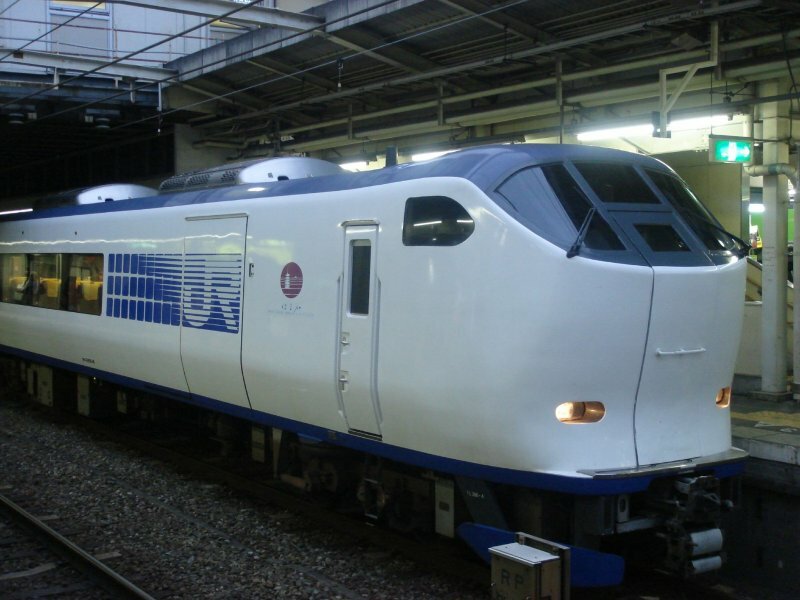 The last JR normal express that connects with a Kyoto train leaves at 10:47pm, arriving at Kyoto at 12:55am. You then may need a taxi to your accommodation as the Kyoto subway stops after midnight. Alternately you can board the Airport Limousine Bus, with the last service departing at 11:40pm. 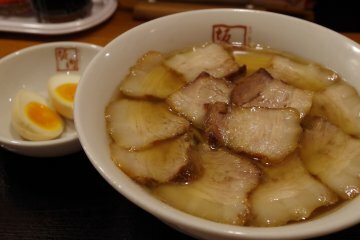 (2550 yen). There is also an hourly bus service from midnight to dawn going to Osaka. Even if you don’t hold the Japan Rail Pass the Haruka can still be a cheap option. Overseas Tourists can buy a 1 day JR West Kansai pass. It is only 2,200 yen with the early bird discount and gives you unlimited access on the Haruka plus all other JR trains within the Airport, Nara, Kyoto and Himeji (except bullet trains). The one way fare on the Haruka from KIX to Kyoto is 3,170 yen (unreserved seat ticket), so you save money even just going to Kyoto. You don’t have to pre-purchase the JR West Kansai pass before you arrive in Japan, you can get it from the ticket office at JR Kansai Airport Railway Station, and it only takes five minutes once you show your passport. Visitors wanting to travel to Kanazawa area should consider the Takayama-Hokuriku Area Tourist Pass as well, as it provides 5 days of unlimited travel for 13,500 yen. 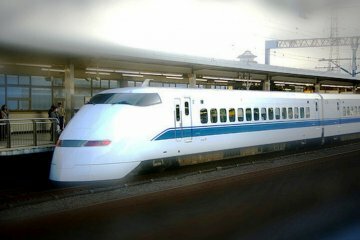 Visitors heading northwards to the coast (e.g Fukuchiyama, Kinosaki Onsen), or wanting to go to Okayama, Kurashiki or the ferry to Naoshima in a four day period should consider the JR Kansai Wide pass, which includes bullet trains to Okayama. At 8,500 yen for 5 days this is one of the best value rail passes in Japan, provided you order this online or from overseas (otherwise 9,000 yen if you order this in person at the JR ticket office). 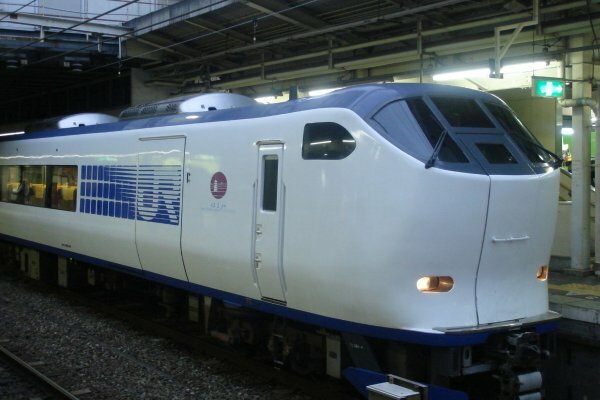 If you are only using the JR West Kansai pass to go to Kyoto, and not back track to Himeji or down to Nara the same day (for example, your flight landed late in the evening), another alternative is to purchase the ICOCA and Haruka discount ticket package. ICOCA is a rechargeable card giving access to all JR and private trains, buses, and subway in the Kansai area. The package contains the ICOCA card loaded with 1,500 yen, a 500 yen refundable deposit, and a one way Haruka ticket to Kyoto. Worth 4,980 yen if purchased separately, the package is just 3,000 yen. 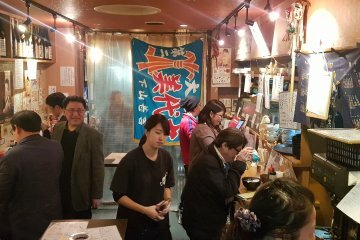 A Haruka return ticket + ICOCA package is even better value, at 4,000 yen for just under 8,000 yen of value - provided you use the return Haruka ticket within 2 weeks of activating the package. There is a refund administration fee of 210 yen if there are credits left when you return the ICOCA card, so the trick is to use all your credits before returning the ICOCA card. For your convenience, you can return the ICOCA card at any JR West station in the Kansai area, though the major stations (e.g Osaka, Kyoto, Tennoji) are more likely to be familiar with this initiative. Like the JR West Kansai pass, it can be purchased at the Kansai Airport Train Station office, and ordered online before you arrive. If you don't qualify for the Kansai pass or the ICOCA package, for example you are a permanent resident of Japan, the other option on JR is to catch a normal express (called Kansai Airport Rapid Service) to Osaka and then change to a normal express to Kyoto. This takes at least another half an hour and you may have to stand from Osaka to Kyoto. This will cost 1,890 yen, but for my money and comfort foreign travellers should pay 110 yen extra for the Haruka with the JR West Pass. Then there is Airport Limousine. More comfortable than the normal express, in the sense that you don’t have to change trains. Operating approximately every 30 minutes, this is a good option if you just missed the Haruka, which reverts from half hourly to an hourly service between 11 a.m. and 4 p.m. Bus stops are located outside the International Arrivals floor of the Passenger Terminal Building (first floor center). Tickets can be purchased from the ticket vending machines located outside the Passenger Terminal Building on the 1st floor. Go to bus stop 8 for Kyoto. The last bus is 10:10 pm, and it costs 2,500 yen. 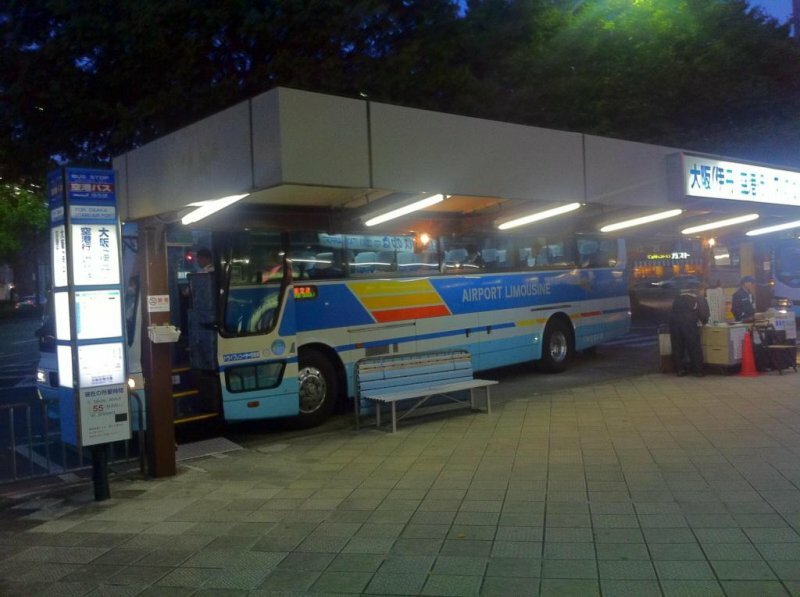 The 6:05 pm, 8:10 pm, 8:40 pm bus continues after JR Kyoto to Nijo Station, so if your accommodation is near Nijo or Shijo Omiya, the bus is a good choice at those times. Bear in mind the 6:05pm bus is likely to get peak hour traffic and they are a bit slower than the Haruka. It is a bit quicker than the normal express, but also more expensive. My inside tip with the Airport Limousine is that when you are going back to the Airport, you need to take the right bus. 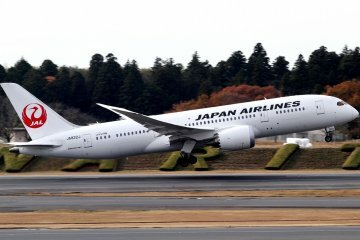 There are two airports in Osaka, Itami Domestic airport (often called Osaka Airport), and Kansai International Airport. Make sure you are getting the bus to Kansai. Lastly for if you have a lot of luggage (e.g. Golf bags, skis, snowboards) AND wanting door to door transport to Kyoto accommodation away from Kyoto Station, there is the MK Shuttle Bus. It costs a little more at 3,500 yen, plus one check in size luggage for free. They don't take bicycles or items of that size unfortunately. You will need to book it by 5 pm 2 days before. 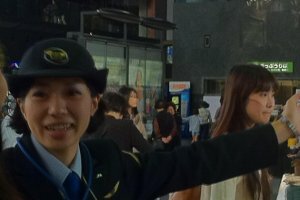 Get the JR Kansai one day pass or JR Pass for the quickest, value for money and most stress free way to go to Kyoto on the Haruka Limited Express. You need a foreign passport (Japanese permanent residents excluded) to qualify at the JR Ticket Office, or apply in your home country. If you are only going to Kyoto that day, and not backtracking to Himeji or Nara, the ICOCA+Haruka package is even better value. 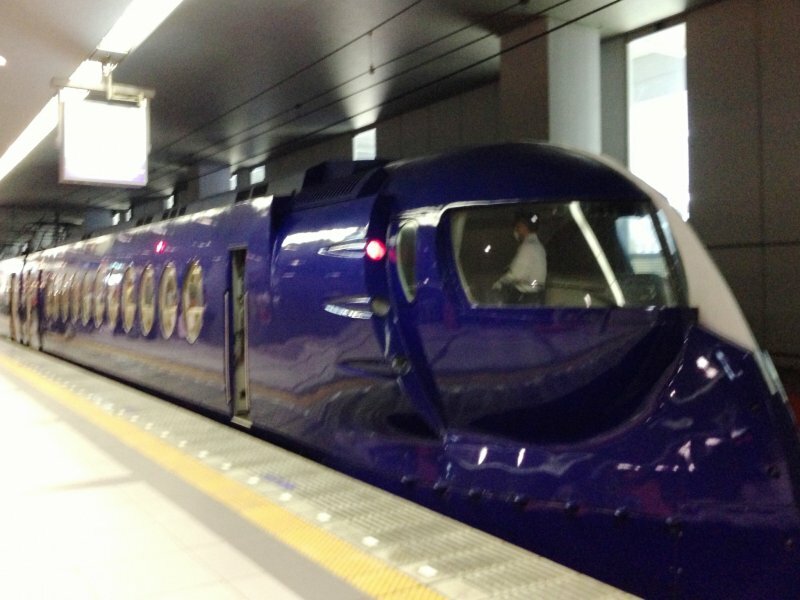 The Haruka will take you to Kyoto in less time and hassle than the bullet train. Outside the peak hours, the Haruka only operates hourly, so if you just missed the Haruka and haven't paid for your ticket already, consider the Airport Limousine bus instead. Otherwise relax at the airport lounge. On the way back, should you want to take the bus, make sure you take the Kansai Airport bus, NOT the Osaka Airport (Itami) bus. If you’re taking the JR Normal Express to the Airport, please check the indicator board on the carriage itself. Some of these trains split in two in Hineno (2nd last stop), with part of the train going to Wakayama, and part of the train going to Kansai Airport. (usually 5 car/ 3 car split). Make sure you are on the correct carriage. All the signs are in English as well, but if you are not sure, ask, or board a middle carriage and look for the luggage carrying passengers in your carriage. If you are on the wrong carriage, you should have time get out of the train and move up or down. The train should stop in Hineno for a bit, so there is enough time to move to the right carriage. 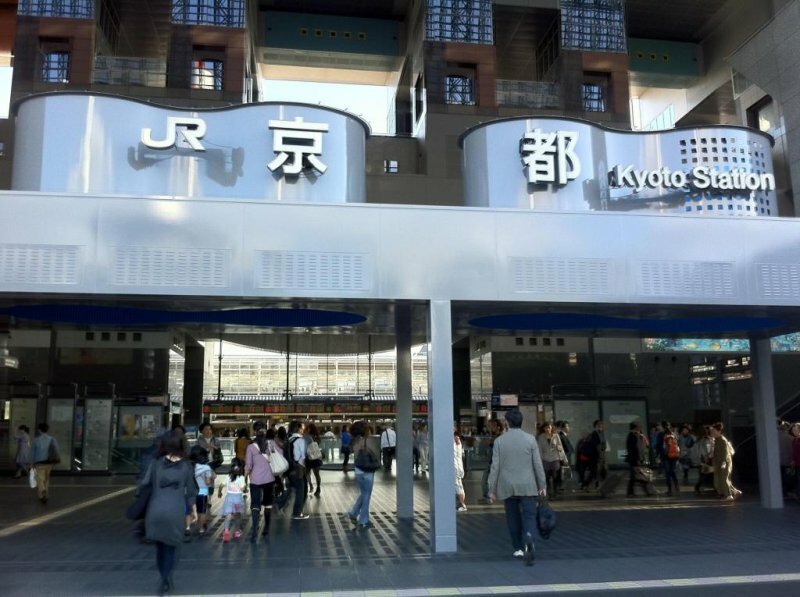 Passengers whose final destination is down town Kyoto rather than JR Kyoto, should consider the Kyoto Access ticket if they want to grab a bargain at a little over 1200 yen. However it involves 2 to 4 changes, and takes 100 rather than 72 minutes on the Haruka. If you just missed the Haruka during the off peak hours, the time difference between the two are not materially different. Take the MK Shuttle Bus if you have lots of luggage and want door to door transport to your accommodation. You mention there is Airport Limousine when I press the link it takes me to a bus timetable. How may reserve an Limousine? Will the JR West Kansai Pass cover the following route: KIX-Kyoto, Kyoto-Universal Studios Osaka? Also, will it cover Universal Studios Osaka-KIX? Thank you in advance for your help. The JR West Kansai Pass covers KIX-Kyoto, Kyoto-Universal Studios Osaka and also Universal Studios Osaka-KIX. The Haruka train is rarely full from Kansai Airport to Kyoto, so if you get an unreserved seat, you should be able to sit the whole way. The risk is that another person has reserved the seat that you are sitting in, so you will have to move. If possible get a reserved seat, especially if you don’t want to be disturbed. There is a separate luggage storage area. The train is very spacious so you don’t need a first class (or green car) seat which are even more spacious. Thank you for this article. We will be arriving to Kansai Airport at 630am then go to Kyoto. We will be staying in Kyoto for 3 days and 2 nights. 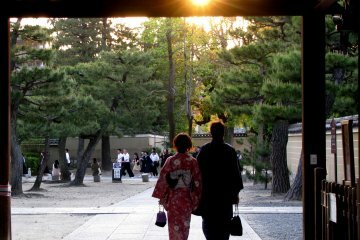 Our itinerary is to go around Kyoto at most possible places. Then on the third day morning, we will be going to Osaka. 2.) As said first train at the airport is 6:34am. We will be missing it. So what transportation should we take? 3.) 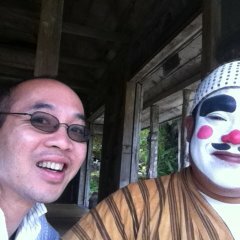 Is the 1 day JR West Kansai pass can be useful as we go around the shrines and Nara, (Kiyomizu-dera, Arayshima and a like). 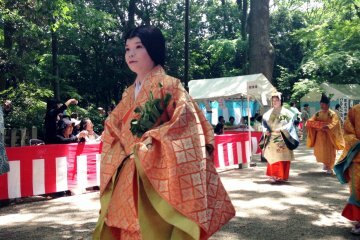 The shrine visit is scheduled for two days as day 1 and day 2. 4.) Since, its a two-day itinerary what train or bus tickets should we get? 5.) 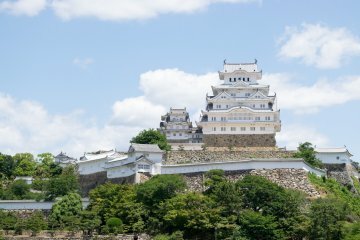 Lastly, how to we go to Osaka from Kyoto? The JR Pass works on calendar days. So as you are arriving at 634 am, I suggest you use a one day pass. Take the next Haruka train after the 630am (they run every 30 to 60 mins), leave your luggage in the locker in Kyoto or the hotel, and then use the same pass to go to Nara or Himeji, and return to Kyoto as late as possible. 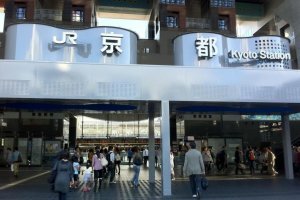 Don't use the JR pass for places within Kyoto City, it is not designed for that. So for going to Kiyomizu-dera, Arashiyama and the like) For Kyoto city buy the 2 day subway/ bus pass. From Kyoto to Osaka there is the JR, plus 3 private lines, depending where you are going from and to. Thank you so much Bonson. These are really helpful . Thank you Bonson for your clarifications. Merry Christmas, and have a great trip to Kyoto!